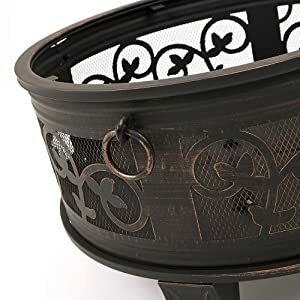 We are proud to present the famous Trueshopping Santorini Garden Patio Outdoor Fire Pit Heater Log And Charcoal Burner Includes Mesh Spark Guard Poker And Grate. With so many available right now, it is great to have a name you can recognise. 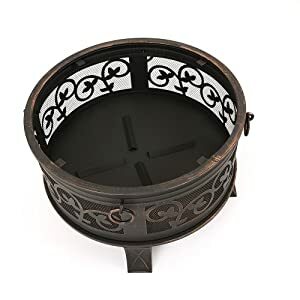 The Trueshopping Santorini Garden Patio Outdoor Fire Pit Heater Log And Charcoal Burner Includes Mesh Spark Guard Poker And Grate is certainly that and will be a excellent acquisition. 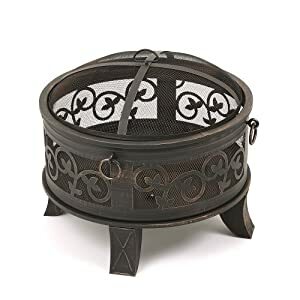 For this reduced price, the Trueshopping Santorini Garden Patio Outdoor Fire Pit Heater Log And Charcoal Burner Includes Mesh Spark Guard Poker And Grate is highly recommended and is a popular choice for many people. Trueshopping have provided some nice touches and this means good value. Create an inviting atmosphere for you and your friends with the Trueshopping Santorini Fire Pit, whether in the garden or on the patio. 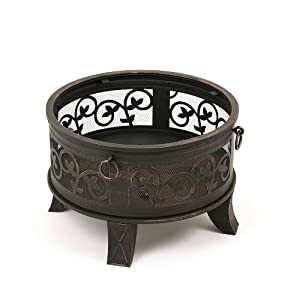 Perfect for keeping that evening chill off, this stunning fire pit features an antique 'bronzed' finish with attractive cut out side detail, and is supplied complete with the protective mesh spark guard, heat-resistant poker and weather cover. The attractive cut out sides provide a cosy view of the fire and embers, but also enables essential warmth for those 'chilly' evenings. Suitable for burning Logs and or Charcoal. This fire bowl is intended for outdoor use only. Do not use on wooden decks. 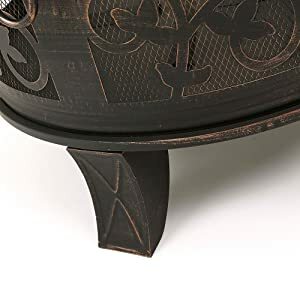 This fire bowl is intended to burn wood logs and Charcoal only. Do not burn coal, leaves, or other combustible materials in the fire bowl. Not for use by children. Keep children and pets away from the fire bowl. The fire bowl is hot. Use with caution. Do not touch the hot fire bowl with bare hands. Never leave the burning fire bowl unattended, and always extinguish the fire completely before leaving the fire bowl. 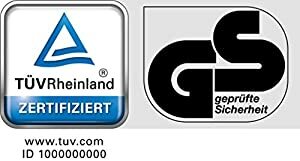 Do not use near flammable or combustible objects or materials. 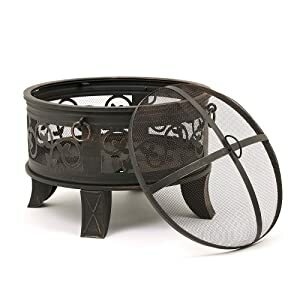 When the fire bowl is in use, the handle on the mesh screen can reach extreme temperatures that can cause serious injury to an unprotected hand. Use a poker or an appropriate heat resistant glove or pad when handling.